Richmond, Va. (February 11, 2015) – Over the last six years, the Elite Clubs National League has grown to become the top female youth soccer competition and development platform in the United States. The league consists of 77 member clubs that compete within 7 conferences across the country. ECNL conference competition is the heart of the ECNL, and the primary method by which teams qualify for post-season ECNL Play-Offs every year. Conference games feature some of the most heated rivalries in youth soccer, and winning an ECNL Conference Championship is a matter of huge pride for every player and club. The ECNL Mid-Atlantic Conference is comprised of top clubs from North Carolina, Virginia, Maryland, Ohio, and Indiana. The ECNL Mid-Atlantic Conference is split by the primary season in which the majority of conference games are played – some teams play a heavier schedule in the fall and winter, while some in the conference play their primary season in the spring. The conference saw four teams finish within the top twenty-five overall standings in the 2013-2014 season. Here is a brief look into each Member Club in the ECNL Mid-Atlantic Conference. Located in Montgomery Country, Maryland the Bethesda Soccer Club started in 1979 with three teams, competing as the Bethesda Boys Club. Today, there are over 40 teams on the boys and girls side that compete from ages eight to eighteen. CASL is one of the largest competitive clubs in the state of North Carolina. The club celebrated 40 years this past year, with recreational and competitive teams on both the boys and girls side. FC Virginia was founded in 2006 and is considered one of the fastest growing clubs in Virginia, having started with two teams. Several former players have continued their soccer careers at the professional level. 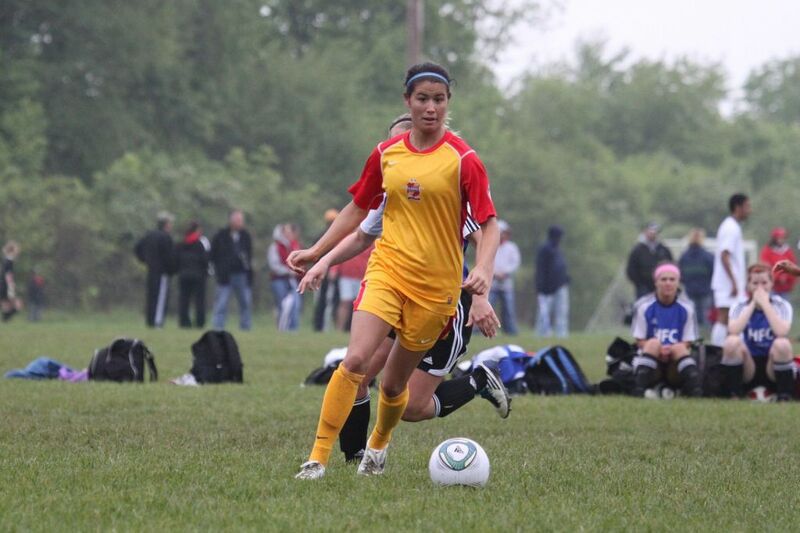 Indiana Fire was formed in 2014 with the merger of Carmel United and Westfield Youth Soccer, a merger designed to provide more resources for Indiana players. The Internationals Soccer Club was established in 1976 as an outlet for players who had graduated from college and were looking to play competitively. The youth program was created in 1985, offering multiple levels of competitive play. Maryland United FC is a non-profit organization serving players throughout the Maryland and Washington DC area. MUFC serves teams on both the boys and girls side from age eight to eighteen. McLean Youth Soccer is a 501(c)3 based out of Fairfax, Virginia. MYS has both recreational and travel teams to serve both the boys and girls at the youth level, with a mission to develop players to play at the highest level possible. NC Fusion began playing competitively in 2010. The club is an umbrella organization between Twin City Youth Soccer Association and Greensboro United Soccer Association, with 5,000 players competing in the club at all levels. One of the original charter members of the ECNL, the Ohio Elite Soccer Academy was founded in 2002 to serve the Cincinnati area. Ohio Premier is a non-profit organization that was founded in 1993 based on the core principles of dedication, discipline, and teamwork. Originating with three girls teams at inception, it has now grown to fifty boys and girls teams. The Richmond Kickers and Richmond Strikers established Richmond United when the two clubs united their respective U.S. Soccer Development Academy and ECNL programs to introduce a collaborative program designed to serve the most talented players in the region.